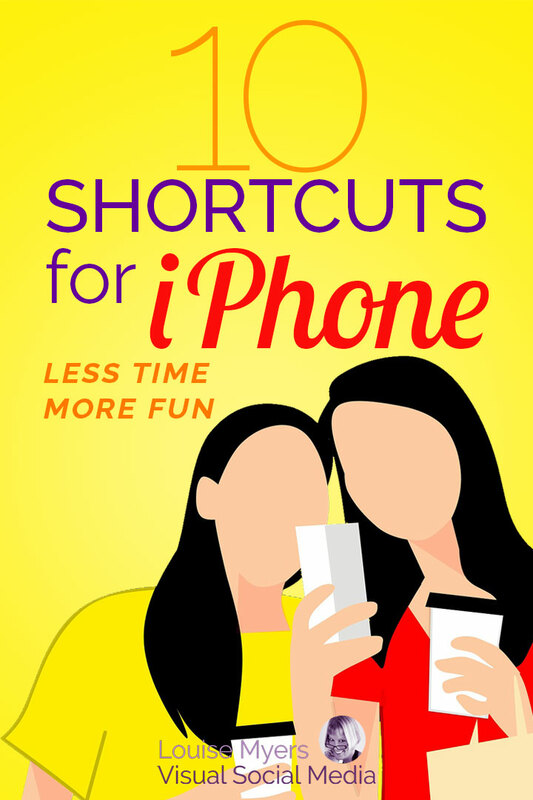 Then you’ll love these iPhone shortcuts! The iPhone first revolutionized the smartphone industry back in 2007 – and has continued to do so every year since. But even the most devoted Apple fans might not be familiar with some of its hidden shortcuts. These step-by-step GIFs reveal 10 of the niftiest iPhone tricks to save time – and maybe impress your friends, too! Thanks to Onstride Financial for providing these fun animated images. A common complaint among of iPhone users is the limited battery life. As this smartphone continues to become more complex, the battery gets sucked dry faster. Here’s a hack you can use to charge your iPhone a bit faster: set it to Airplane Mode. Open the Control Center from the Home screen. Tap the plane symbol to engage flight mode. You can also access Airplane Mode from your settings. But I love this shortcut! I set my phone to flight mode every night before retiring. Highly recommended ? I was a holdout to texting for quite a while. I still can’t get used to that tiny keyboard! Sending texts is the most common reason to use mobiles phones, according to a poll conducted by mobiles.co.uk. Ever make a mistake on that munchkin keyboard? For a quick way to right those typing boo-boos, give your phone a quick shake. This will prompt your iPhone to undo it. Web browsing is another key feature of the modern smartphone, with many of us surfing the net on our mobile devices when we have a bit of downtime. With 4G already here and 5G on the way, mobile networks are becoming ever more sophisticated. To browse the web even more efficiently, hold down the period / full stop key to quickly select from the most popular top level domains (.com, .org, .net and .edu). Tech companies have come under fire for tracking and recording data on their customers. You may not be a fan of your iPhone capturing an inordinate amount of data about your habits. Want to know precisely what tracking data your iPhone is recording? Navigate to Settings > Privacy > Location Services > System Services > Frequent Locations. Here, you’ll find all the tracking data your iPhone has compiled. While on the Location Services tab, under the Apps, you can set “Share My Location” to Never or While Using, if desired. Knock knock, who’s there? Recent iPhone releases have become ever more sophisticated in their customization options, particularly in providing various vibrations to signal different functions. But this feature can be tailored even further. To access your iPhone’s custom vibrations, navigate to the Contacts app or tab under Phone. Choose a contact and select Edit, then Ringtone, then Vibration. Choose one of the Standard Vibrations, or use the Create New Vibration tool to create a custom pattern by tapping the screen. Hey fellow creatives! As a DIYer and/or perfectionist, you know how tricky it can be to eyeball whether something is level. The iPhone has a cool level feature built in to recent releases. It works just as well as a conventional tool, and is a lot more fun. To see if you’re on the level 😉 , access the Compass app and then swipe to the left. I love this one as much as Gmail canned responses! Despite often being glued to your smartphone, you may still miss an important phone call. The iPhone offers a variety of different options to handle missed calls. One allows you to create custom replies, which can be especially useful if you’re expecting a particular caller. Set it up by navigating to Settings > Phone > Respond With Text. From here, you can create custom text responses for moments when you can’t get to the phone. This touch-sensitive technology delivers a myriad of new features. One that regular iPhone users will appreciate is the ability to switch between apps quickly. It’s easy to use: Press down firmly on the left edge of your screen, then swipe to the right side of the display to move the app that you’re finished with out of the way. The iPhone comes with loads of storage space, but that can also make it tough to find what you need right now. Use the search function to find just about any app, object, or message quickly. Swipe downwards on the Home screen to bring up the search interface. Type a search term into the box. All occurrences of it will appear below. 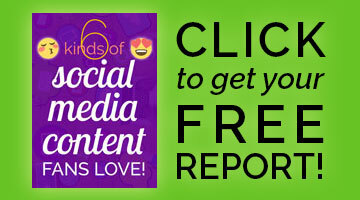 I use this often to document Instagram new features and glitches, and other anomalies. I love the handy markup tools! When you need to capture the info or image on your screen, simply press the Home and Power buttons (or Power and Volume Up buttons, on an X) at the same time. With iOS 11, you can quickly crop, add notes, share the image, save it as a JPG, or delete it altogether. These images automatically save to a dedicated album in your Photos app creatively named “Screenshots.” 🙂 You’ll find it under Media Types on desktop. Which of the iPhone hacks is your favorite? These are just a few shortcuts we thought you’d find handy. Some I knew about, yet some were new to me. Feel free to Save any of the GIFs, or the Pin below, to Pinterest! 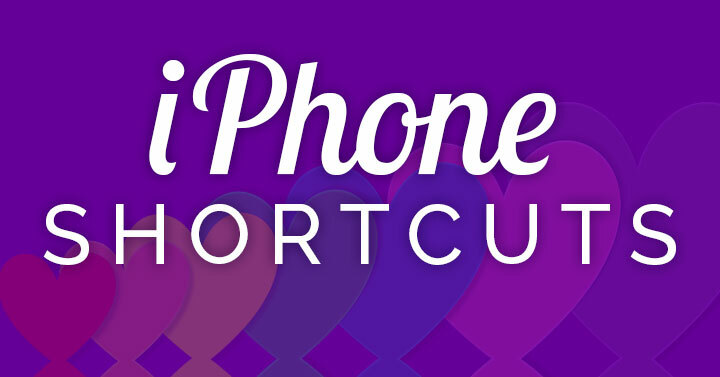 Then let us know in a comment which iPhone shortcut you found most useful. I almost use most of all these shortcuts on my iPhone. You’re ahead of the game then!